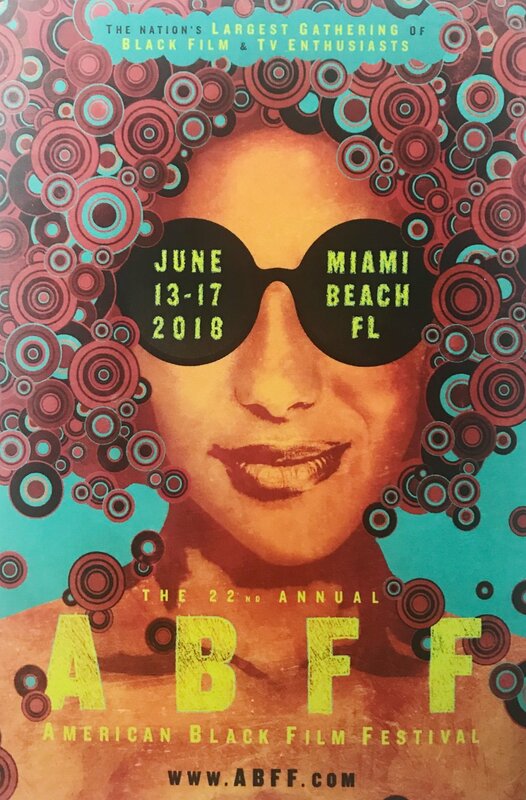 This year ABFF celebrated its 22nd year from Jun 13th - June 17th in Miami Florida. I was granted the opportunity to attend the festival on the strength of my aunt who has a local radio station in South Florida. ABFF kicked off it's unofficial first night with the screening of Director X's Superfly. Founder of the festival Jeff Friday introduced the festival and the film and the entire cast came out to support. Andrea Lewis is an Actress, Writer and Digital Content Producer best known as “Hazel” from the hit TV show Degrassi: The Next Generation and the youtube web series, Black Actress. April Reign the Senior Director of Marketing for Fractured Atlas, a nonprofit arts service organization that leverages technology to make the business of art easier for artists and small arts organizations. She is also the Creator of the viral hashtag #OscarsSoWhite, which challenges the lack of representation of marginalized communities in Hollywood and beyond. Former NFL athlete and business owner Devale Ellis has dedicated his 2nd career to TV & film. While booking roles on prime time hit TV shows and independent films, he has also turned his social media platform into a daily reel of well written & superbly acted skits including his wife, Khadeen and 3 young sons Jackson, Kairo & Kaz. Richie Skye is a radio, television and media personality residing in Los Angeles, CA. He is currently a host and contributor on Afterbuzz TV and Popfuzion TV, and is also featured on Season 1 of Stripped on Bravo. One great part of the festival was the ABFF App, powered by Attendify I’ve been to a few festivals that had an app component to them and this by far has been my favorite. The app was very much a social media network of its own. People were updating the length of lines for events and panel availability. They reviewed panels, shared pictures at the parties, networking events and with celebrities and industry professional sightings. People seemed to be really connecting with one another. Sharing food recommendations and more. I attended the Hot in Hollywood Panel. This panel was about he state of the industry and highlighted upc and coming stars and their impact in the industry. 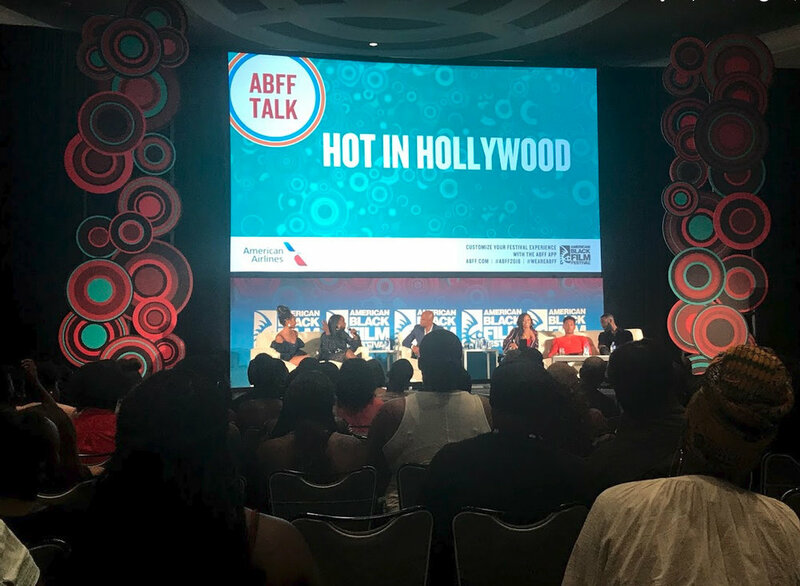 The panel was moderated by Dondre Whitfield and the panelists were Ashley Blaine Featherson & Bresha WEbb (Marlon) of Dear White People, Kofi Siriboe of Queen Sugar and Jacob Latimore of The Chi. Marvel sponsored a talk with Ryan Coogler hosted by Nischelle Turner. In this conversation Ryan covered attending USC, gaining attention with his film Fig at the 2011 ABFF to directing Fruitville Station, Creed and Black Panther. He talked a lot about support, networking, inspiration, work ethic and more. I ran into a few familiar faces over the course of the festival. I ran into a girl from high school that is a produce for the Jerry Springer show, a former classmate from School of Visual Arts and a coworker from Blue Sky as well as a few people from Twitter and Instagram. I was only able to experience but so much of the festival this year. I’m now working on being able to work the festival or find some way to bring Simply Robotix to the festival itself.